No PDF created on Submit – Error "405 Not Allowed"
Home › Forums › Bugs and Troubleshooting › No PDF created on Submit – Error "405 Not Allowed"
This topic contains 3 replies, has 2 voices, and was last updated by admin 11 months, 3 weeks ago. I thought perhaps my field map maybe was corrupted so I created a brand new Field map (yes, it took a while). But the new field map also produces this error. So I don’t know what it is. I do know when I click submit button it takes a while just spinning, then I get the error. I will also submit a support request. 1. Size matters… The size of the uploaded PDF form is 2.58mb, we were able to shrink it to 2.07mb using Adobe Acrobat and have uploaded it to your site. 2. There are two field map layouts that are trying to send email attachments. Un-check the email actions, or just delete the field map that you are not using. 3. There are 10+ signatures that are being merged to the PDF which takes a considerable amount of time. We suggest NOT sending the PDFs as attachments, but rather send a link to the PDF in the body of the email using the PRO2PDF shortcode. 1. Using copy/paste from Formidable form field names to PDF form field names prior to creating field map layouts, which automates the creation of the field map layout, and greatly reduces the time to just seconds. 2. For large forms, disable the “Enable field previews in the Field Map Designer” option on the plugin’s SETTINGS tab. Let us know if you need any clarification regarding the issues above, or further assistance with the plugin. 1) Regarding PDF size, can you explain how you reduced the size? I too am using “Adobe Acrobat Pro DC”. I will need to make further edits to the PDF and upload another version, so I want to know what you did to reduce size so I can do the same with my version. 2) I deleted duplicate field map, and removed email attachments and now only send link. Now when I click submit it returns right away (before it was timing out). 3) Regarding the many signature fields, it’s required by client. However, at first I tried to name all the signature fields on the PDF the same and just did one mapping, but the signature was only filling the first PDF field and the others remained blank (even though all PDF signature fields were named the same). So instead, I had to name each PDF field differently and map each one separately, and that worked. Regarding speed, I noticed that when I click on the link to download the PDF it still seems to take a while and it seemed like it would time out but luckily it didn’t, yet it still took a while (about a minute). Any other suggestions to speed things up? – For creating field map in the first place, I do use the EXACT field name from Formidable for 90% of the fields, but there’s a few that have to be different (like checkboxes). 1. Regarding PDF size: Use Acrobat’s “Combine Files” option and just add the one PDF form, the resulting file will be the smallest possible size.
. You can also try shrinking the images in the PDF with Photoshop, before using the Combine Files option.
. You can also try shrinking the original PDF by limiting the number of fonts in the document, currently you have 30+- embedded fonts which is taking up 1.4mb, and they cannot be reduced, only removed. 3. Correct, you must enter a unique name for each PDF signature field, then merge the Formidable signature field to each PDF signature. That’s the only way. 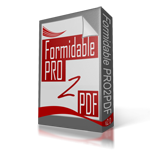 Regarding PDF link speed: The remaining delay is caused by the PDF file size and merging the 10 signature fields… You can try lowering the signature field’s multiplier… check Formidable Form’s support docs for how. Reply To: No PDF created on Submit – Error "405 Not Allowed"